A driver who killed a cyclist in a crash while still drunk from the night before has been jailed. Paramjit Singh, 28, was driving a Mercedes when he ploughed into cyclist Jordan Gregory, 24, at 2pm on August 9, 2017. Mr Gregory, from Sutton-in-Ashfield, Notts., died at the scene at the busy junction of Station Road and the A38, Sutton-in-Ashfield. Singh, of Short Street, Sutton-in-Ashfield, had previously admitted causing death by careless driving while over the prescribed drink drive limit. He was jailed for three years and four months at Nottingham Crown Court on February 8. Singh was also given a three-and-a-half year driving ban and must take an extended driving test upon his release. He had an alcohol level of around 43 micrograms of alcohol in 100 millilitres of breath – the legal limit being 35 micrograms. It was also calculated that Singh was driving at a speed in the region of 52mph at the time of the collision in a 50mph zone. 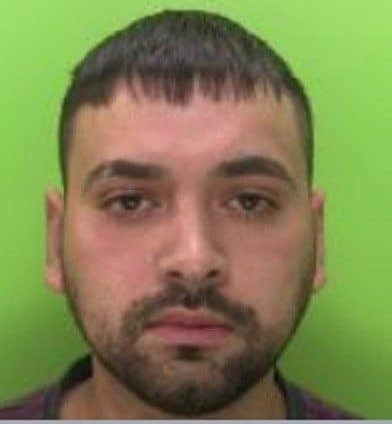 Detective Sergeant Adam Cooper, of Nottinghamshire Police’s Serious Collision Investigation Unit, said: “This collision could have been avoided had Paramjit Singh shown any respect for the law and other road users and made the responsible decision not to drive after drinking excessive amounts of alcohol. “This case serves as a reminder to all of how drinking in the evening can still leave you above the limit the following day. “I’d like to thank all those who stopped at the scene and did their best to help Jordan and also assisted with our investigation. “He was the perfect son, one that any mum could ever wish for. “He was loving and kind and I feel very lucky for the 24 years that I had him for. “He was loved dearly by all the family and we all miss him immensely. I will love and miss you forever my beautiful boy. “Paramjit Singh has destroyed our lives. “We wish to thank all the people that helped Jordan and were there to comfort him. “We are forever grateful and you will always be in our thoughts.